Vote for World BEYOND War and help us earn the People’s Choice Award! - World Beyond War . 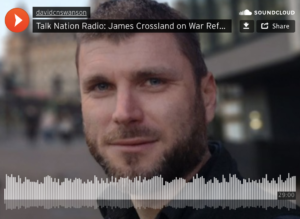 . .
Vote for World BEYOND War and help us earn the People’s Choice Award! World BEYOND War is a Finalist in the Educators’ Challenge Competition! Tony Jenkins, Education Director of World BEYOND War, is one of ten finalists in the Educators’ Challenge competition created by the Global Challenges Foundation. The Educators’ Challenge seeks “innovative approaches to engage students and broader audiences in discussions on the importance and principles of global governance, its history and its potential future.” The Global Challenges Foundation’s aim is to contribute to reducing the main global problems and risks that threaten humanity. Vote for our submission: help us win the People’s Choice Award! We won’t know if we are an official winner until the event ceremony on May 15 (see details below), however, we are also in the running for the People’s Choice Award – which comes with a $1000 prize! To cast a vote for our project, simply visit our official educators’ challenge promo video on YouTube and give us a “like” (click on the “thumbs up” button below the video). Voting closes on May 1! Please also help spread the word! We’ll also be campaigning for the People’s Choice Award on Facebook and Twitter. You can see how we are stacking up against the other entries on the official Peoples’ Choice Award voting page. Join Tony in London for the Educators’ Challenge Awards Ceremony on May 15! 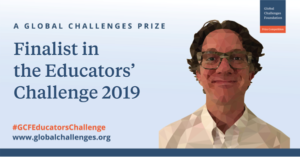 The Educators’ Challenge Awards will take place on May 15, 2019 at the London School of Economics from 8:30am to 6:00pm. The event is free and open to the public, but advanced registration is required. You can register for the event here. 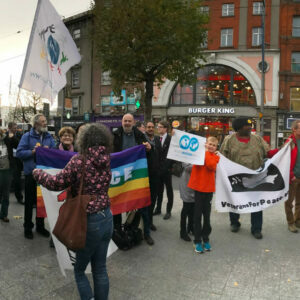 Tony is also organizing an informal get together in London on May 16. If you would like to attend or help us organize this get together please email Tony at education@worldbeyondwar.org. 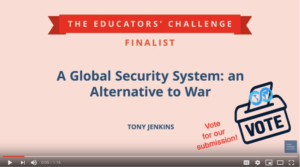 Tony submitted our book, “A Global Security System: An Alternative to War (AGSS)” as an educational blueprint for ending all war through the development of a cooperative, nonviolent system of global governance. AGSS is complemented by our online study guide “Study War No More” that provides guiding questions for discussion & action, and features videos of changemakers actively designing the new system. AGSS is utilized as a learning, planning and organizing tool by community groups, schools, universities, and policymakers around the world.